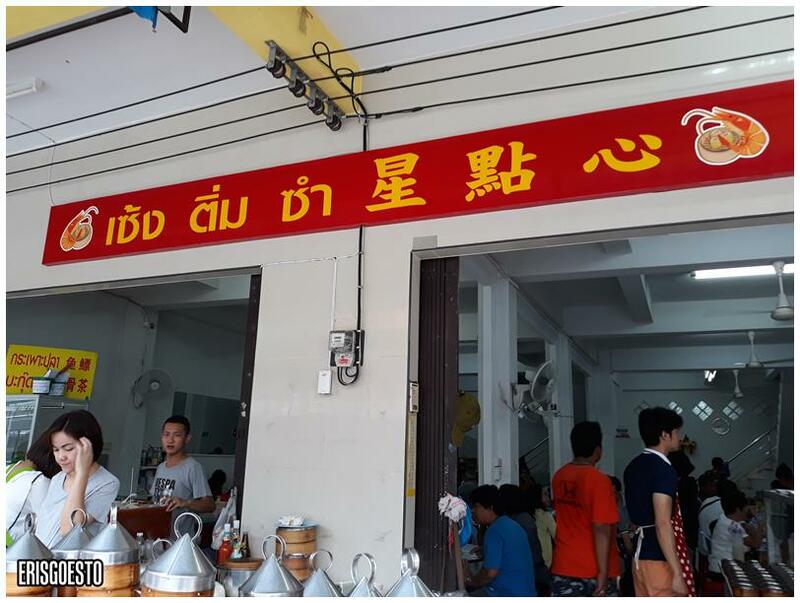 Google ‘breakfast in Betong‘, and chances are you’ll be directed to Seng Dimsum, a Chinese establishment in the centre of town (near the clocktower) that serves cheap dimsum. 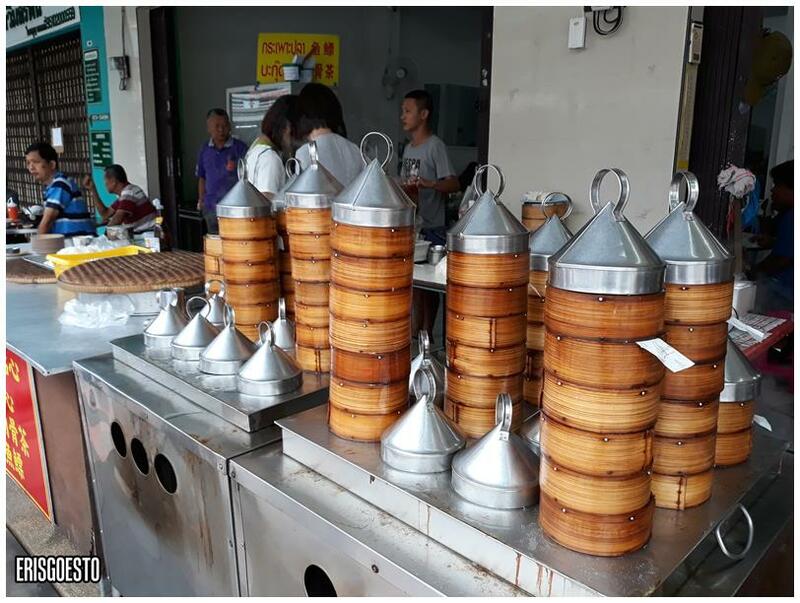 Back in the days it used to be RM1 per plate (!! ) 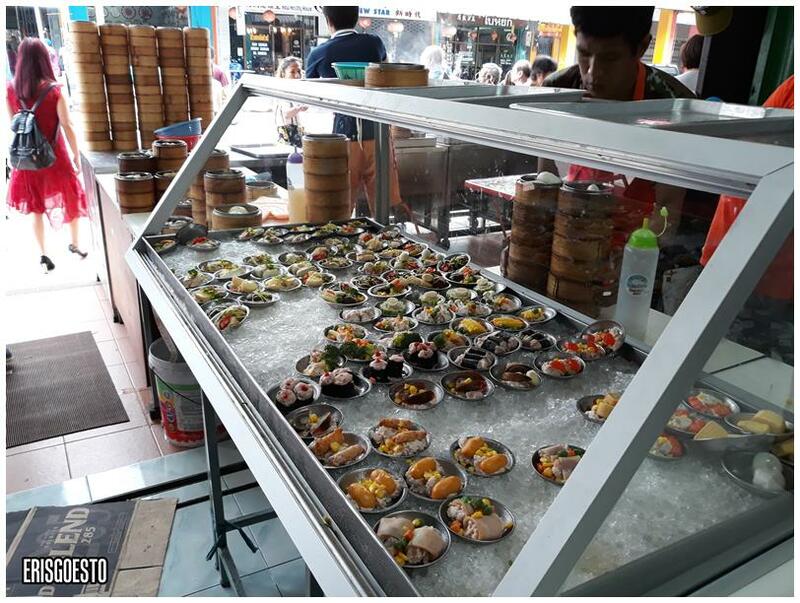 but with inflation and increasing costs, they now cost 20baht (RM2.55)… which is still cheap, considering most places in Kuala Lumpur serve upwards of RM6. 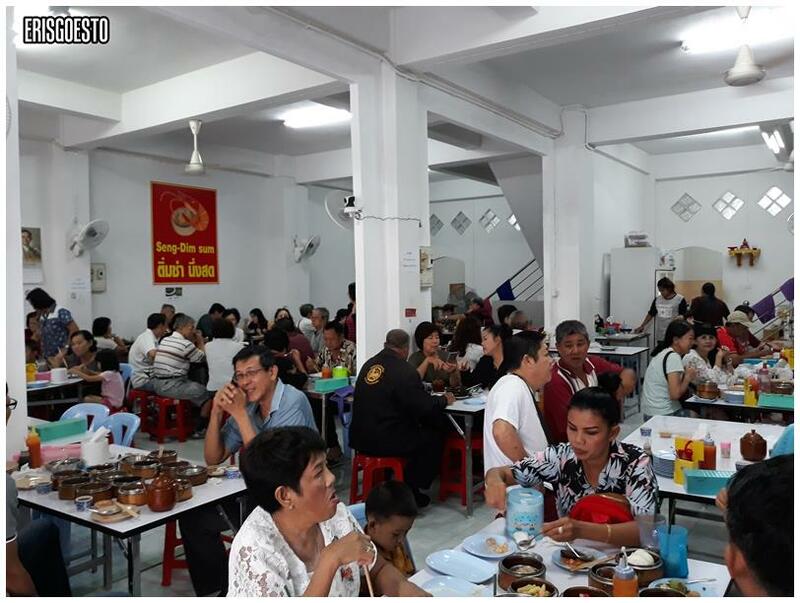 Dining area is your typical Chinese resto setting and can easily seat 100 people or more. 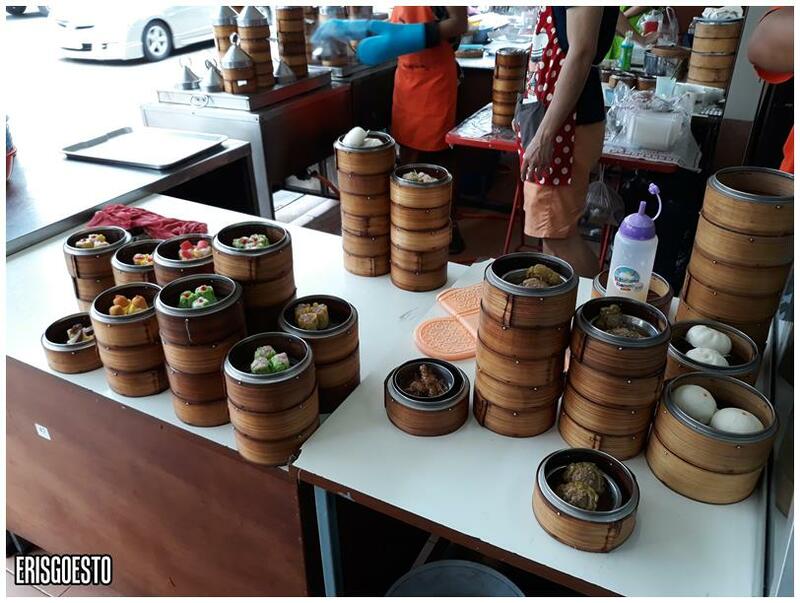 Unlike traditional Malaysian style dimsum where some auntie will be pushing a cartload of goodies to your table, here it’s all self-service. 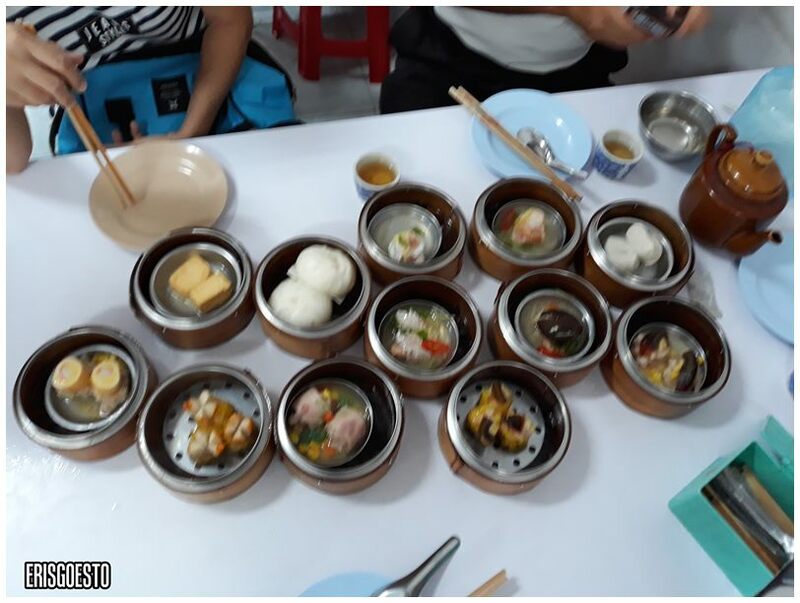 The dimsum plates were placed on ice. 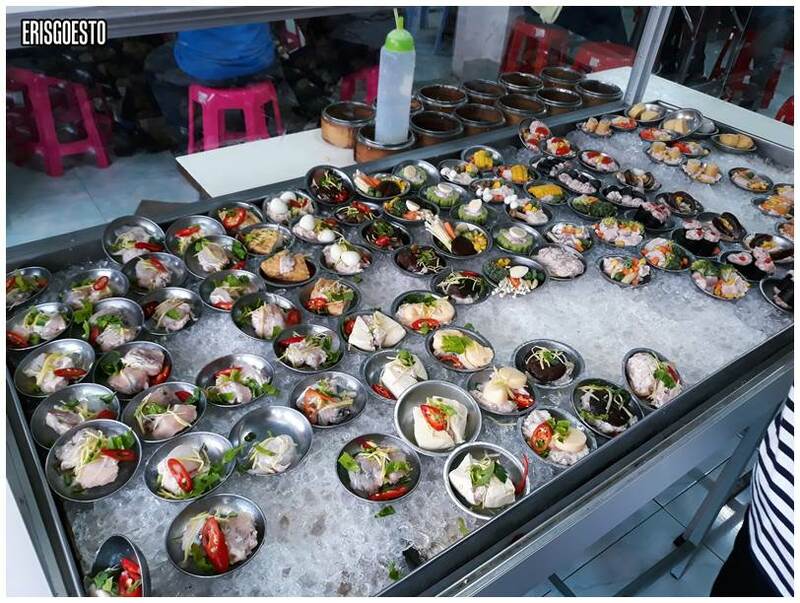 Some were familiar (the usual fishpaste, siew mai, etc) but there were also other types that weren’t common in Malaysia, like the stuffed pork paste in mushroom, the mini veggie combos, fish slices. Select the ones you prefer and hand them over to the staff who will steam it fresh and take it to your table after. Buns, dumplings, the usual suspects. At the front was where all the steaming was done. I think this was partly for visuals – aside from the fragrant aroma of food being cooked, there’s also the steam wafting out to entice passers-by. To the left was the chee cheong fun (rolled rice flour noodles) which we didn’t order. We were feeling a bit peckish, so got 12 plates to share between the our of us. The portions were smaller than those in Malaysia, but then again, it’s only 20baht. I liked the siumai (pork dumplings with wonton skin) and the one with century egg. 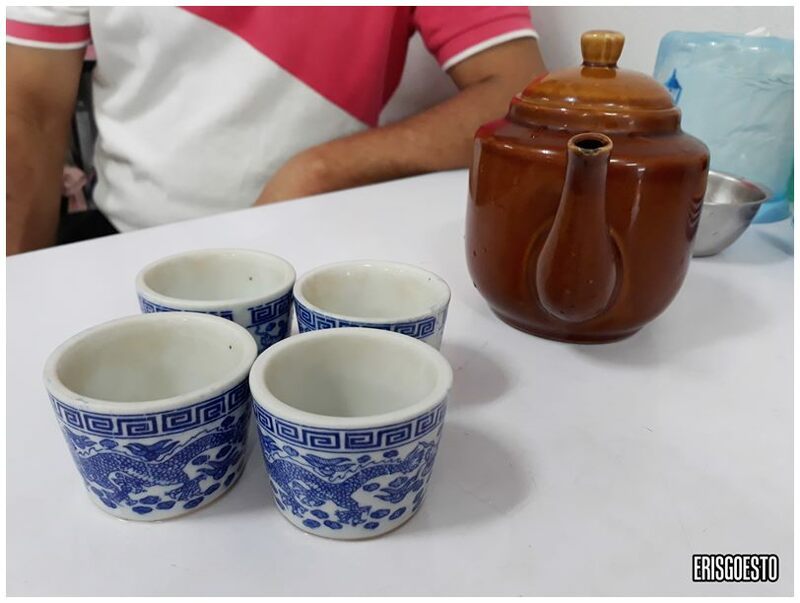 Tastewise, everything was quite tasty but I wouldn’t say it’s the best dimsum I’ve had. Still great value for money though! Take me with you to all those places!! !